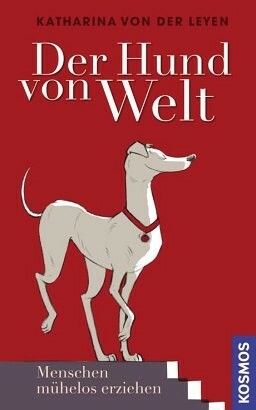 Product information "Der Hund von Welt"
After the success of Dogs in the City, Katharina von der Leyen now turns her attention to Worldly Dog. A species that likes to confuse the shag rug with the lawn, hides under the bed covers during a thriller on TV, or swallows the chewing bone whole without waiting for its dental care effects. With a twinkle in her eye, Katharina von der Leyen describes how dog training works -- in theory -- and which quirks enhance the dog owner's life -- in reality. A reading pleasure that will conjure laugh lines on the reader's face. In addition, 80 cartoons from a poison pen sweeten the breaks in the text. Katharina von der Leyen is a journalist, best-selling author and dog expert. Her column in the magazine DOGS and her books Good Dog, The Pug and Dogs in the City are great successes.